Many studies have looked at the link between diet and cancer prevention. The American Institute for Cancer Research (AICR) recently reviewed all articles to date. Based on that review, they estimate that 30 percent to 40 percent of cancers could be prevented based on a healthy diet and moderate exercise alone. For those already diagnosed with cancer, they recommend following the guidelines for prevention, and to help prevent recurrence. Let's start with general recommendations and then go on to talk about dietary approaches to reduce the risk of lung cancer specifically. Limit consumption of red meats (such as beef, pork, and lamb) and avoid processed meats. Moderate exercise — even gardening 1 to 2 times per week — lowered the risk of lung cancer in several studies. A high-fat diet raised the risk of lung cancer. Diets high in fruit are associated with a lower risk of lung cancer, and in fact, the National Cancer Institute has estimated that foods high in flavonoids, such as apples, can lower the risk of lung cancer by 50 percent. In women, the intake of dairy products and vegetables has been linked with a lower risk of lung cancer in smokers, and black tea with a lower risk in non-smokers. Foods high in lutein such as collard greens, spinach, broccoli, and orange juice, are associated with a lower risk of lung cancer. 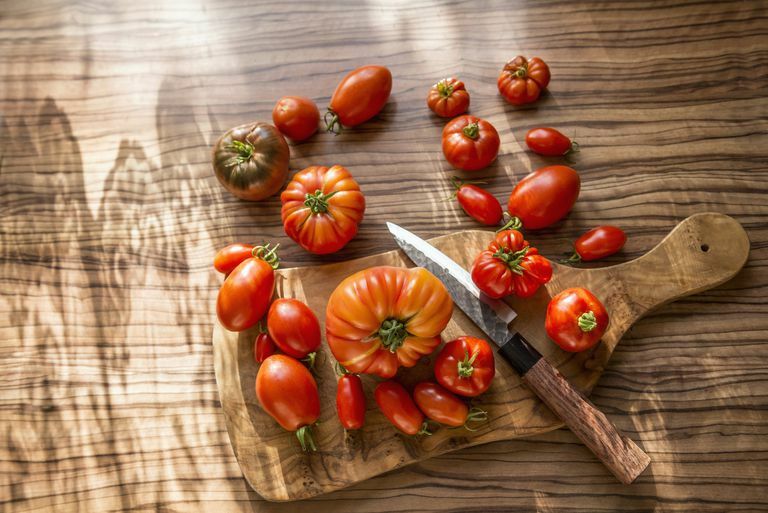 Foods high in lycopene, such as tomatoes and especially tomato sauces, are linked with a lower risk of lung cancer. Smokers that drink green tea appear to have decreased oxidative DNA damage, a genetic change that predisposes to cancer. Learn more about the role of green tea in cancer prevention and treatment. Some general categories of foods are noted above, but for those of you who are interested in maximizing a lung cancer prevention diet, there's a lot more. If you are interested in lung cancer prevention, don't miss this article on superfoods to reduce lung cancer risk. Each of these foods in this superfoods article has been studied in credible medical studies and found to be associated with a lower risk of lung cancer from a population standpoint or plays a role in the body's metabolism that's associated with lowering the risk of cancer developing. If instead, you or a loved one are living with lung cancer, check out this article on lung cancer-fighting foods. The foods in this article, in contrast, may work by altering the way that cancer cells divide and grow. Of course, it's important to talk to your oncologist before you do so. Just as we know that some vitamins and mineral supplements may interfere with cancer treatment, only your oncologist can know if there are any specific foods you should avoid while being treated with chemotherapy or other treatments. American Institute for Cancer Prevention Recommendations for Cancer Prevention. Recommendations based on the Second Expert Report. Food, Nutrition, Physical Activity, and the Prevention of Cancer: A Global Perspective. A case-control study of lifestyle and lung cancer associations by histological types. 2008. Kubik, A. et al. Neoplasma. 55(3):196-9. Interactions between smoking and other exposures associated with lung cancer risk in women: diet and physical activity. 2007. Kubic, A. et al. Neoplasma. 51(1):83-8. Effect of a 4-month tea intervention on oxidative DNA damage among heavy smokers: role of glutathione S-transferase genotypes. 2004. Hakim, I. et al. Cancer Epidemiology Biomarkers and Prevention. 13920:241-9. Dietary carotenoids, serum beta-carotene, and retinol and risk of lung cancer in the alpha-tocopherol, beta-carotene cohort study. 2002. Holick, C. et al. American Journal of Epidemiology. 156(6):536-47. Long-Term Use of Supplemental Multivitamins, Vitamin C, Vitamin E, and Folate Does Not Reduce the Risk of Lung Cancer. Slatore, C. et al. 2008. American Journal of Respiratory and Critical Care Medicine. 177(524-530).